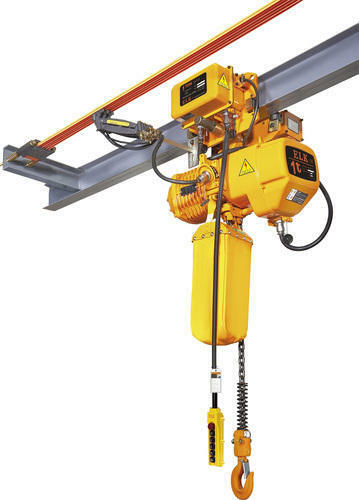 We are a prominent manufacturers, suppliers and exporting of a wide range of Industrial Hoists. These are manufactured under the superior guidance of our quality experts. Our range is fabricated using premium quality raw material. These products are known for their tensile strength and high load bearing capacity. The product is noiseless and user friendly so that even a client with basic knowledge of the equipment can understand its basic operations. 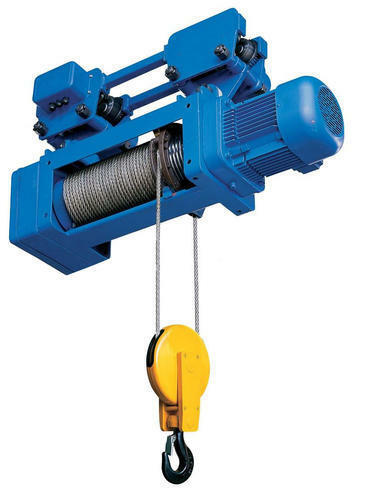 We are involved in manufacturing high-grade Electric Wire Rope Hoist. The product widely appreciated in the market for their noiseless & trouble free operations, compact designs, modular construction, compact design, and low maintenance. The product is noiseless and easy to operate that makes this very user friendly. We procure our raw material from some of the best vendors in the industry. The hoist carries rope & pressure ring are the standard feature available with these hoists. We are a prominent manufacturer of high grade electric Wire Rope Hoists. These hoists are manufactured after performing a detailed research in the market and understanding the varied demands of our clients. Our professionals make use of superior grade machines and modern techniques of production to manufacture these products so as to provide our clients with best-in-class products. These are widely acclaimed in the market for their unique compact designs, noiseless functioning, low maintenance and high performance. With the help of our experienced engineers, we have come up with Electric Chain Hoists. These are manufactured using high grade components that are procured from some of the best vendors in this industry. Clients can avail these from us with main powered motors that use chain to perform the lifting process in 110 v, 240 v or 415 v DC. Our quality analyzers test these products on various parameters to ensure their adherence to the set industry standards and quality norms. We also manufacture these products as per the specifications of our clients for their maximum satisfaction. With the help of our experienced engineers, we have come up with Power Chain Hoists. These are manufactured using high grade components that are procured from some of the best vendors in this industry. Clients can avail these from us with main powered motors that use chain to perform the lifting process in 110 v, 240 v or 415 v DC. Our quality analyzers test these products on various parameters to ensure their adherence to the set industry standards and quality norms. We also manufacture these products as per the specifications of our clients for their maximum satisfaction.